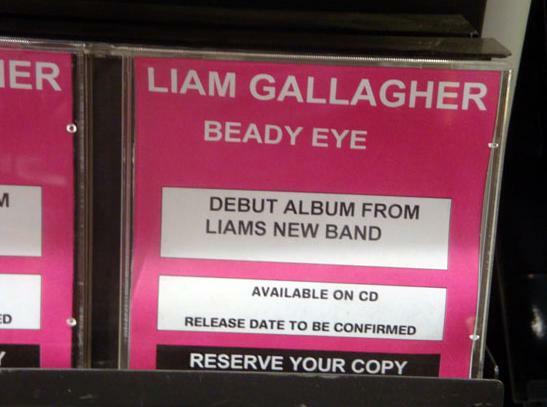 MILAN - The origins of Beady Eye :). Gem on lead guitar. The first concert in Oasis history without Noel (since Noel joined the band, apart from the Rain), another strange coincidence, always in Milan as the last one had to be. The band enters at minute 2:27 ("no-one's dead" :) You can hear Liam announcing Don't look back in anger :), but then it's Gas panic. Gem solo from 5:42. At Milan Forum there was another guitarist, Matt Deighton, and it was the first time live in Italy for Gem and Andy. Gem was the lead guitar in the place of Noel, Matt the rhythm guitar. Special guest was one of Johnny Marr's (The Smiths) bands, The Healers (with ex Oasis' Zak Starkey). I added 2 audio videos to the previous posts, Vicenza gig and Lucca gig, with Go let it out, Better Man stopped by Liam, and She's electric x2.